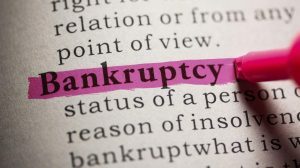 Bankruptcy: As a person or business can no longer repay their outstanding debts, they file for bankruptcy. Its goal is to give you a fresh start by eliminating your debts but it does have repercussions. It can lower your credit score dramatically. Whether you started at a good or bad score, there will be a significant drop. It will appear on your credit score and stay there for up to 10 years, or even longer if you apply for a loan amount above or equal to $150,000. Future car loans will have higher interest rates and car loans might require larger down payments. So what CAN you do if you are at a point in your life where you want to lease a car following bankruptcy? Know where you are with your credit score. The number will be your gauge on how far you have to go to get a high enough score to lease. Filing bankruptcy relieves your past debts, but in order to bring up your credit score, it is best to obtain at least one new credit card to use responsibly. You can bring up your score quicker by paying off the credit balance each month before your payment date. It may be easier to take on a lease assumption rather than a new lease on your own. A lease assumption is basically you taking over someone else’s lease because they can’t pay for it anymore. At times, the down payment will be small or you don’t need to put money down at all. It is easier to qualify for this type of lease, but you need approval from the lender. Are you looking to lease a car with bankruptcy in your records? Be sure to follow these tips! Also, be sure to check out Swapalease.com. Swapalease.com is the online marketplace with vehicles and customers in every state in the continental United States and Canada. For more information on finding the best car lease deals or to learn how you can have a successful car lease trade, visit Swapalease.com or contact them at 866-SWAPNOW. So you are driving your leased car and a thought crosses your mind. “What happens if I total my leased car in an accident?” As you know, when you first signed your lease agreement, there were all sorts of coverages that you and the leasing agent went over. However, whether you have a leased car or thinking of having a leased car, here are a few things to know when it comes to a possible future accident in your leased car. What Is Considered A Totaled Leased Car? When you total a leased car, it is referred to as a “total loss”. That is when the damages done to the car require repair that costs more than 70% of the car’s value. Notify the company that leased the car and explain that the car has been totaled, and ask what the current payout is for the car. You should be able to determine this information from your leasing contract as well, but you will want to confirm the exact number with the lien holder. Gap insurance or Guaranteed Auto Protection insurance is an optional insurance plan for some companies that can be added to your comprehension and collision insurance, but it is better to have it just in case. Without GAP, you become responsible for the difference in what the insurance pays and the terms of your lease and if the amount the car is worth is less than the amount the lien holder requires, you are required to pay the difference to the lien holder. If the total loss was caused by an accident, fire, hurricane, theft, tornado or vandalism, and you have comprehension and collision insurance, you are covered by your insurance company. If you need help finding the right car and the right insurance for it, help us help us help you! For more information on finding the best car lease deals or to learn how you can have a successful car lease trade, visit Swapalease.com or contact them at 866-SWAPNOW. Need To Know What Insurance You Need For A Leased Car? As a reminder, coverage is mandatory on a leased car. When you lease a vehicle, it BELONGS to the leasing company. They want to make sure their investment is covered. You need to go out there and buy an auto-insurance policy. 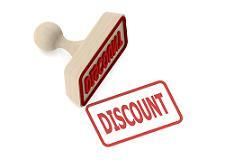 Leasing companies often require high liability insurance and some may require a lower deductible. Here are three coverages you should make sure you have (required to have) for your current or future leased car. This insurance protects you if your leased car collides with another vehicle or object. It also protects you if your vehicle is overturned. You will most likely have a deductible. Like collision insurance, this also is subject to a deductible. Comprehensive coverage involves if your car got involved in a situation involving fire, theft, and weather damage. GAP insurance is often seen as one of the most important coverages, but not all states have the option of getting it. GAP protects you if your leased vehicle is totaled or stolen. As a result of a collision or comprehensive car insurance, repairs must be made by only using Original Equipment Manufacturer (OEM) parts. After you’ve selected car accident insurance, and you expect to still be driving your car after the manufacturer’s warranty has expired, make sure you are also covered against expensive breakdowns and repairs that your auto insurance doesn’t cover. 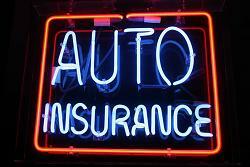 Ever wonder why your auto-insurance premium keeps going up year after year? Here are a few factors that are affecting your premium to increase and some of them aren’t even your wrong-doing. Okay, this one is on you. As you know, if you have a low credit score and/or poor credit history, it typically placed you in the lower tier compared to excellent credit drivers and you can end up paying hundreds more than they ever will. Another reason your premium goes up is simply the company itself and their cost of doing business. Insurance companies pay out billions of dollars in claims each year. With pay out increasing over generated premium, they need to collect the money they are missing out on from somewhere. Even if your rates are going up, you tell yourself that you really like the insurance company and want to stay with them for as long as possible. Well, the longer you remain a customer, your premium increases based on the likelihood of you not shopping around for another policy with a different insurer. They think you won’t mind, which puts you in a place of price optimization. One more reason your premium will continue increasing is because of how cars have evolved. Cars today are becoming more technologically and it is expensive to fix and receive the parts for those cars in particular. They take longer to repair and the body shop is going to make sure the time they are using will be paid for. With auto-insurance premiums increasing, it makes sense for some buyers to switch to leasing opportunities. 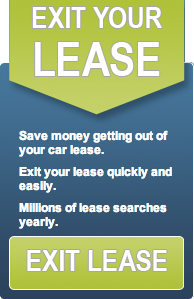 Swapalease.com is the largest online lease transfer marketplace. The online marketplace has vehicles and customers in every state in the continental United States and Canada. For more information on finding the best car lease deals or to learn how you can have a successful car lease trade, visit Swapalease.com or contact them at 866-SWAPNOW. 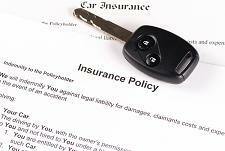 Insuring a Leased Car: What Kind of Coverage Do You Need? Your Auto Insurance: Are Costly Holes in Your Coverage Leaving You Wide Open?